You’ve hosted your app on FileMaker Server, and users can collaborate with it from their own devices. FileMaker Server does more than simply share your app, though. It has a variety of features that allow you to observe current conditions and the performance of the server, and to make adjustments to settings. You can monitor which users are connected to your app, and how they’re connected. You can communicate with users, and disconnect them if needed. FileMaker Server automatically backs up all hosted files at midnight, daily. You’ll see where these backups are listed, how to keep one on file for longer-term reference, and how to create additional custom backup schedules. You can connect FileMaker Server with your own authentication server, such as Active Directory or Open Directory, so users can log in to your app with their standard credentials. The Admin Console allows you to interact with FileMaker Server through a point-and-click interface. 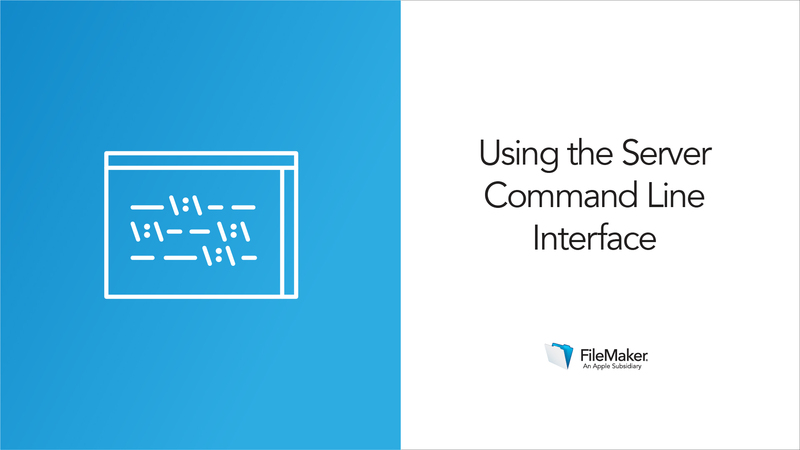 With the Command Line Interface (CLI), you type specific commands in a text-based tool on the server machine, to communicate directly with FileMaker Server. The Admin API is a RESTful API (Application Programming Interface) for FileMaker Server. It is essentially a communication path allowing developers to send the server a request from another tool, like a web app, or even from a custom FileMaker app. The videos in this lesson will cover the Admin Console and the Command Line Interface. The Admin API requires more advanced development skills; for details on using the Admin API, see the Related Resources for this lesson. As you get more comfortable with the FileMaker platform, you’ll likely use more of the many features available to you. 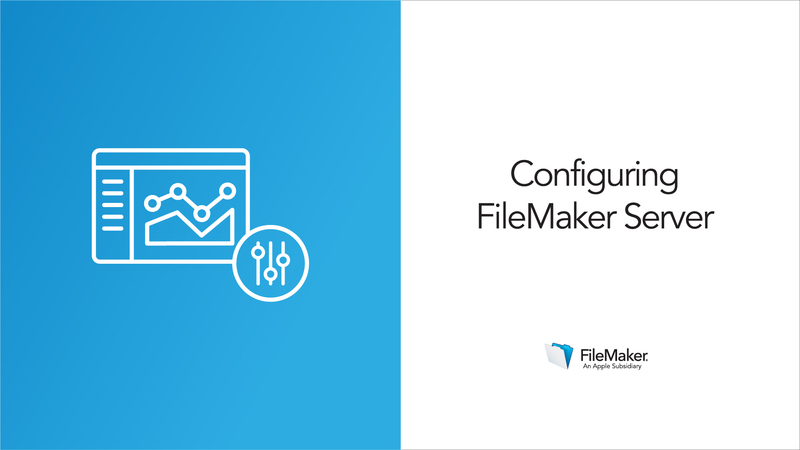 FileMaker Server is the hub for many of these features, from the common (such as running common scripts on the server) to the more advanced (such as connecting to outside data sources). Practice using direct commands to make changes on FileMaker Server.